When it comes to roofing installation, there are three common types of metal roofing materials: standing seam, ironwood and metal shake. These three metal roofing options have their own distinct characteristics. A standing seam roof is a design that raises the metal seams above the roof, allowing your home to stay cooler. Ironwood metal roofing, meanwhile, combines steel with cedar shakes and allows it to fit almost any architectural style. Finally, metal shakes have a distinct dimension and a textured grain that can’t be found in any other roofing products. 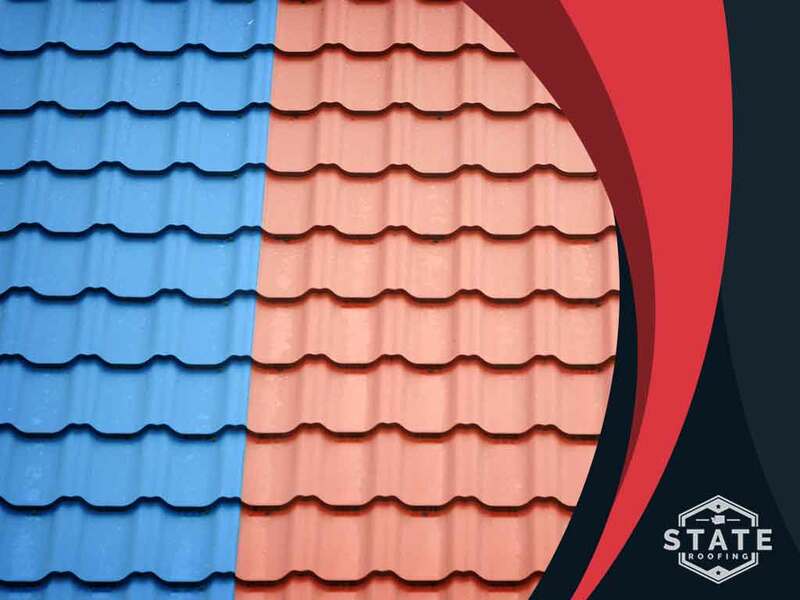 In this post, State Roofing discusses what you need to know about these metal roofing types and what they offer what the other materials don’t. Thanks to the strength and durability of metal roofing, you basically don’t have to worry too much about maintenance. It’s good practice to have your roof inspected at least once a year, and you can do that when you use metal for your residential roof installation. With other materials, you may have to inspect your roof twice or more annually. A good metal roof can withstand windspeeds up to 120 MPH. You can’t say the same about other materials, such as asphalt shingles. As long as your metal roof is properly installed, your home will be reliably protected against wind. Metal roofs are known for being able to resist fire longer. The finishes of metal roofing have a “no fade” surface that prevents wear and tear for a long time. Metal roofs can withstand storms because of their toughness, and a metal roof is a good option for homes in areas that are known to experience hailstorms. A good metal roof can last up to three times longer than a good asphalt shingle roof of the same age. Metal may cost a bit more than asphalt, but it’s safer to pay for quality when it comes to your home improvement investment. Talk to us at State Roofing about your metal roofing needs. We are your number one provider of residential and commercial roofing services. Give us a call at (360) 205-3100 or fill out our contact form to schedule a free estimate. We serve clients in Seattle, WA, and other nearby areas.